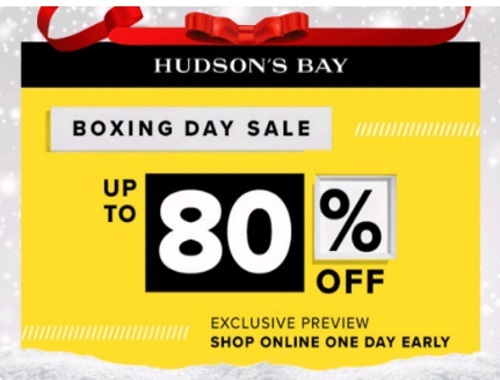 Hudson's Bay is offering an exclusive preview now of their Boxing Day Sale! Save up to 80% off select items! The preview is available online now only! Save on women's, shoes, men's, accessories and home items.